Built this little skate park in my barn that was full of hay in the summer of '09. 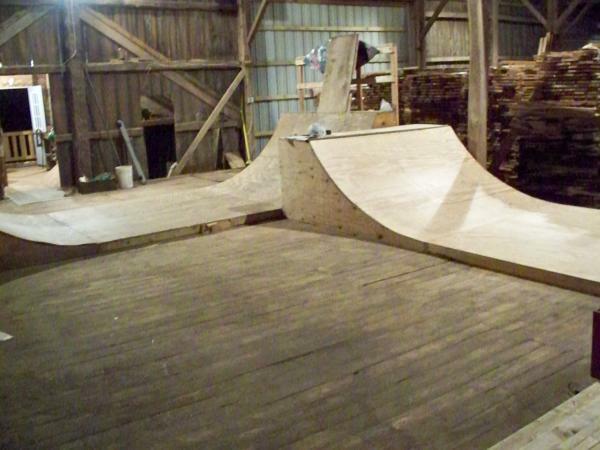 built my bigger halfpipe that summer also and kept it on the driveway until i had time to move it into the barn. 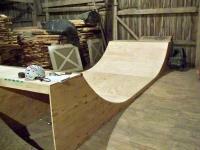 built my smaller halfpipe fall of '10. go to this place everyday and skate. great spot to hangout.